I love Scrivener. I think I might have rambled on about this before but I certainly didn’t do it justice. Joanna Penn does in her great post in The Creative Penn. 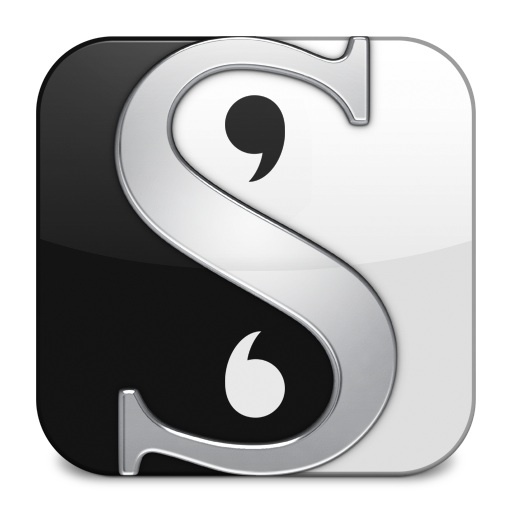 If you’ve never heard of it, Scrivener is a program that helps authors write…anyway they write. So, if you are like me, someone who likes to go back and fix things or add a scene or delete a scene, you won’t have to go through scrolling-hell to do it. Scrivener sets up your writing in scenes that you can move around and delete and add with a little click of the button. It’s hard to visualize but that’s where Joanna’s amazing post comes in because she (unlike me) has awesome pictures that helps you see what you’re going to get in Scrivener. She also has links to tutorials so you can get the most out of it. She also mentions the top 8 reasons why Scrivener will just change the way your write–for the better. That Corkboard, for example, is incredible. You can set up scenes and write them later, move them around and brainstorm your way through your plot and story lines until they meet the way you want–without ever having to use multiple pages or other programs. Finally, as if I haven’t said enough about this program, it actually formats your book into an epub, mobi, pdf, word doc or just about any format you’d like. No joke!